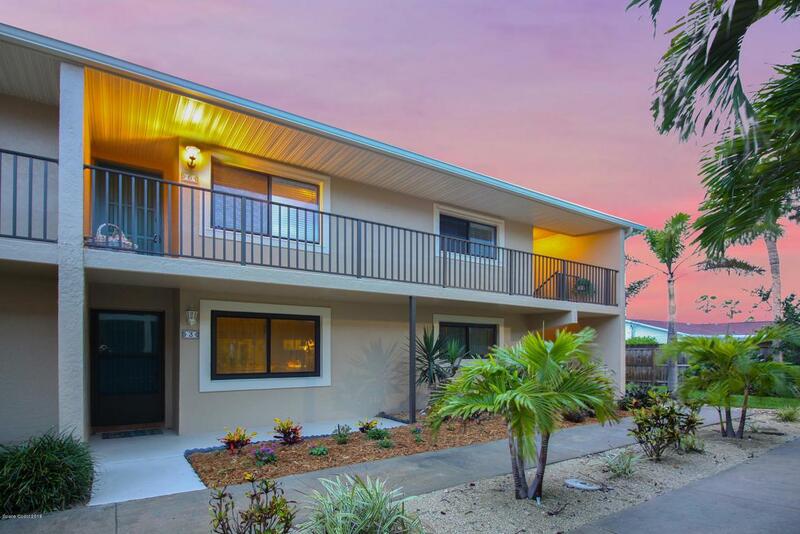 Amazing opportunity to own a hidden jewel of Satellite Beach! Your own private stairway leads up to this beautiful condo which offers 2 bedrooms, 1 bathroom, indoor laundry, and is equipped with hurricane shutters. 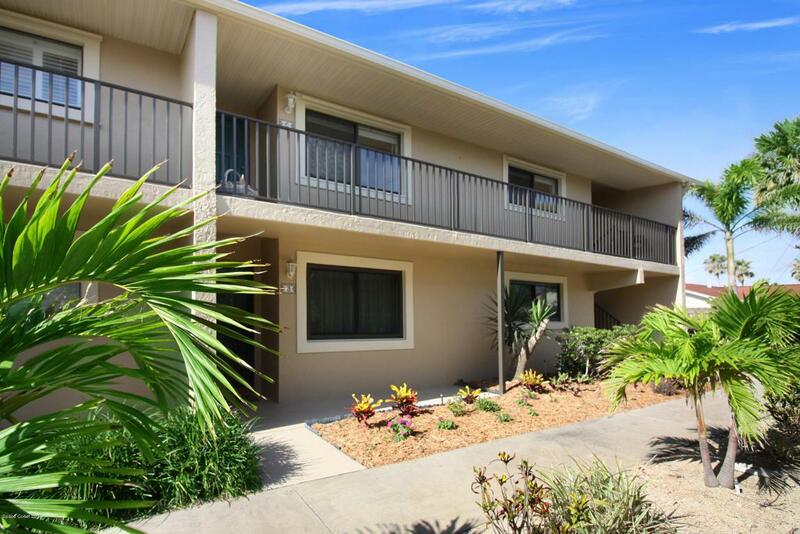 You won't find another condo this close to the beach with a detached ONE CAR GARAGE!! After the beach, come jump in the community pool with aquatic-life mosaic tile accents. 1 assigned parking space with ample open parking for all of your guests. Association fee includes INTERNET, cable, water, roof replacement, lawn care, pool maintenance, exterior insurance, and exterior maintenance. Walking distance to restaurants, shops, public parks, Surfside Elementary, and the public Library. 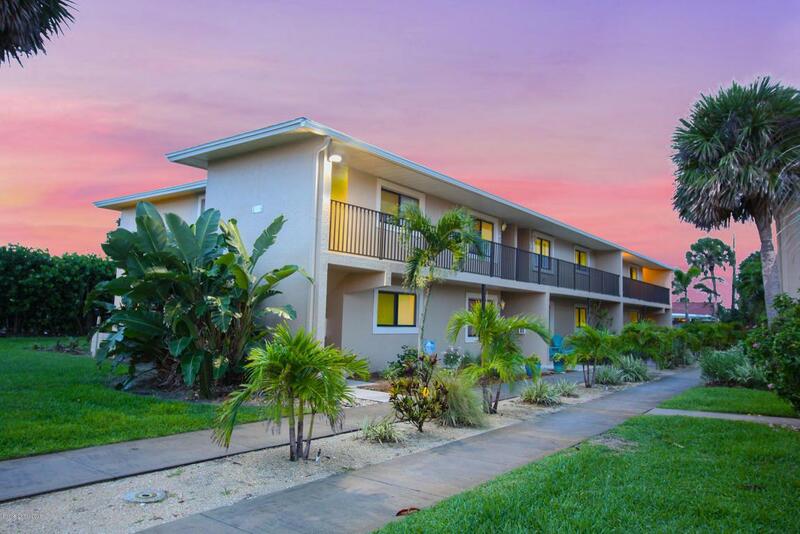 Safely access the beach utilizing the crosswalk at the light of Desoto and A1A.